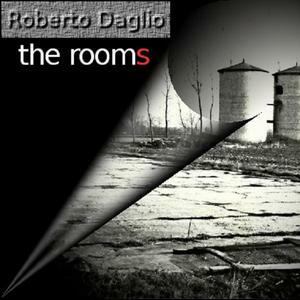 Comment: a couple of weeks ago I posted a teaser of the day, Obsessive Synchronization from the Italian Roberto Daglio`s THE ROOMS (part 1). It is a great track but by listening to it with the rest of 3 tracks it is a seamless flow of very similar tracks. In a word, it does mean that one and the same elements are represented in all the tracks just providing difference within the configuration of each composition. It seems to be so serene and cloudless as if am arousing glimpse from a hyper-realistic universe. It could even be considered a new appearance of New Age music though its roots are based on different jazz and yacht pop facets. For sure, nonetheless its laid-back nature the issue is apparently ambitious inside its core and thereby propelling a bit more further than just an average moody issue. So yeah, practically and functionally I guess it is a remedy for your soul and mind, it helps you cope with exhausting problems and conveys a perspective to move forward. What else I could add but just take your time to listen to the second part of the issue. Just wait a minute...there is no second part of it (at least I couldn't find them). Instead of it I recommend listen to other issues by the artist then.